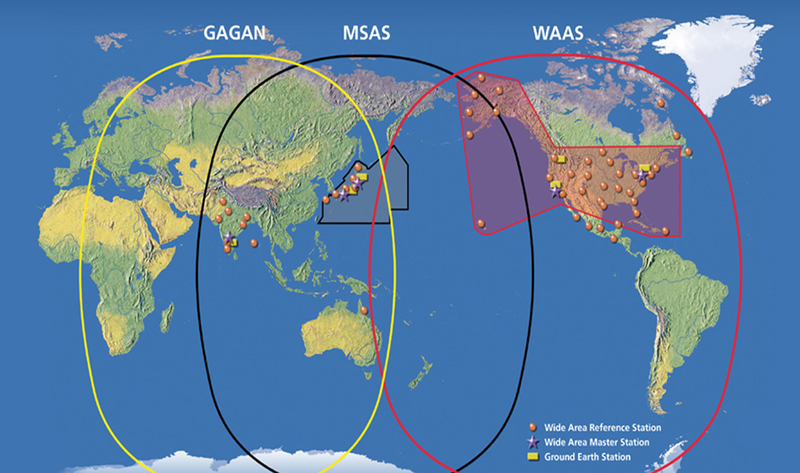 The Indian Space Research Organization (ISRO) and the Airports Authority of India (AAI) have implemented the GAGAN project as a Satellite Based Augmentation System for the Indian Airspace. The primary objective of GAGAN is to establish a certifiable satellite based augmentation system for safety-of-life applications. The functional performance and operational requirements of GAGAN shall be governed by the specifications as mentioned in the international standards. The system shall have inter-operability with other international SBAS systems like US-WAAS, European EGNOS, and Japanese MSAS etc. GAGAN Final System Acceptance Test (FSAT) was completed on 16th-17th July 2012. Further the GSAT-8 satellite-GAGAN Payload has been integrated with Indian Land Uplink station-1(INLUS), Bangalore and GAGAN SIS (Signal in Space) is available since Dec 15, 2011. GSAT-10 satellite has been integrated with Indian Land Uplink station-2, Bangalore and second GAGAN SIS is available from April 2013. The backup Delhi INLUS has also been Operational since March 2013 and is integrated to GSAT-8. The successful completion of system stability test during June-July 2013 paved the way for certification of GAGAN System to meet the civil aviation requirements. The objective of Stability Test was to evaluate the system performance and its critical parameters in the integrated live environment using the satellite signals and ground based systems on integrity, accuracy, continuity and availability for aviation use. India is the fourth country in the world, after USA, Europe and JAPAN, to take up the challenge of establishing the regional SBAS that will redefine the navigation over India and adjacent regions. The footprint of GAGAN will cover huge area beyond Indian Territory, from Africa to Australia and can support seamless navigation across the Globe. 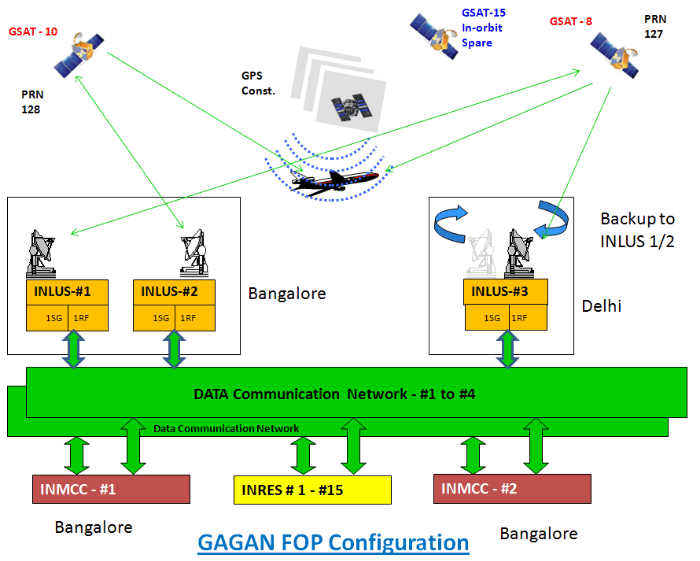 Further, GAGAN is the first system in the world that would be certified to serve the equatorial anomaly region with its unique IONO algorithm (IGM-MLDF: ISRO GIVE Model â€“ Multi-Layer Data Fusion) designed and developed by ISAC in collaboration with vendor. The GAGAN is designed to provide the additional accuracy, availability, and integrity necessary to enable users to rely on GPS for all phases of flight, from en route through approach for all qualified airports within the GAGAN service volume. GAGAN will also provide the capability for increased accuracy in position reporting, allowing for more uniform and high-quality Air Traffic Management (ATM). In addition, GAGAN will provide benefits beyond aviation to all modes of transportation, including maritime, highways, railroads and public services such as defense services, security agencies, telecom industry and personal users of position location applications. The GAGAN, a safety of life system, has been certified by DGCA to provide NPA (Non Precision Approach) services of RNP-0.1 over Indian FIR (Flight Information Region) and certified for PA service of APV-1.0/1.5 over Indian landmass.